Lexington is home to more than 100 parks scattered throughout the city. 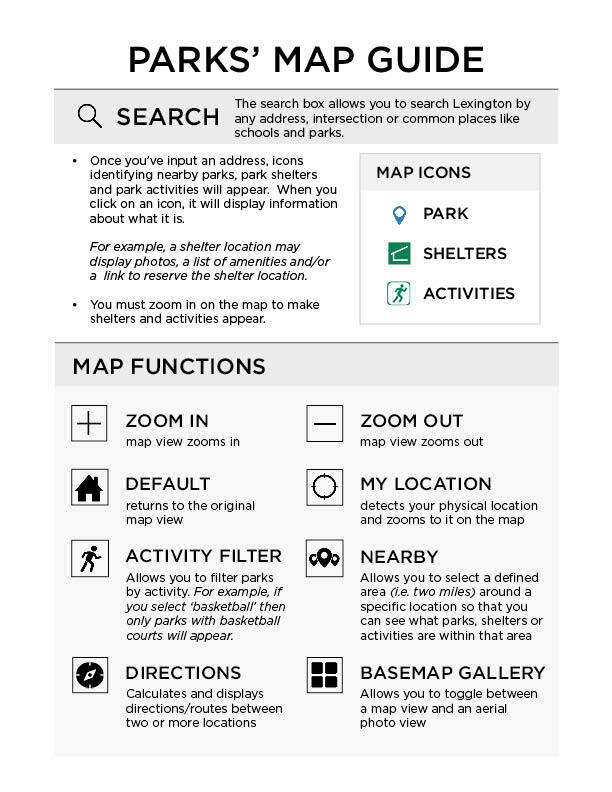 The Map of Parks allows you to easily search city parks and use filters to find a specific park, park shelter or park activity. You can plug in your home address to find which parks are nearby, you can search for all the dog parks in Lexington or view photos of shelters and much more. All parks are open from dawn to dusk, unless posted otherwise.